As most of you know I follow a paleo adapted diet and I HAVE TO be on a gluten-free diet due to having the autoimmune disease, termed celiac disease. I have no skin issues and yet I am aging and need to find the highest of quality products not only for my skin on the outside, but for my health on the inside. 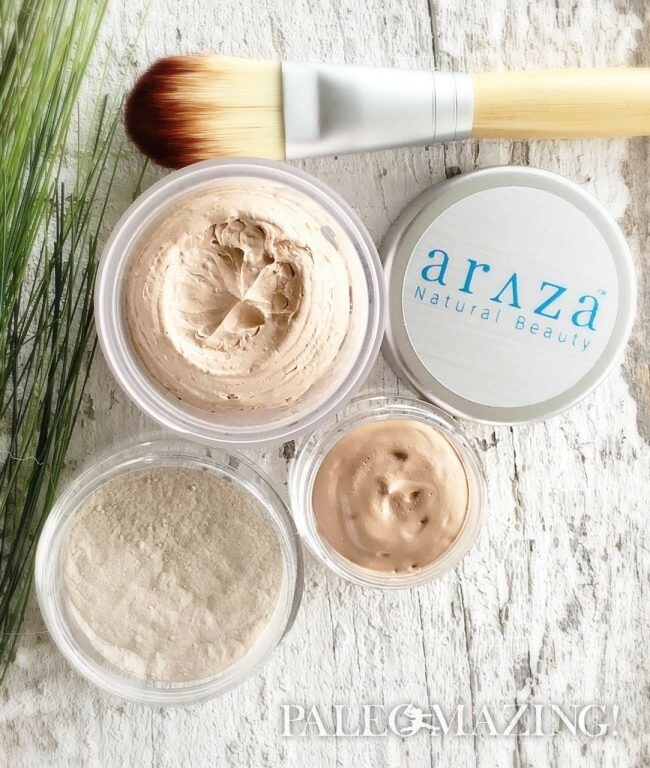 Araza Natural Beauty caught my interest and I could not help but check into this women-run company and their gluten free makeup line, with sincere heart and soul behind every hand-crafted and naturally sourced product. The more I read and learn about our skin, the more it deserves respect. With addressing the skin of women and children, we can make changes now that may otherwise become exasperated sometime later by what we buy from stores, on-line or products promoted as “healthy”. It can be tempting to indulge a few bucks into a product that seems to clear up ones skin, but if a year later you find “that one product” had an ingredient that altered your delicate hormonal balance, you are in for a major surprise. Maybe you never determined what the source of your headaches or weight gain was. Could the trouble be stemming from your makeup, lotion or bath oil? This is where I take to heart companies like Araza Natural Beauty and their skincare and makeup lines. 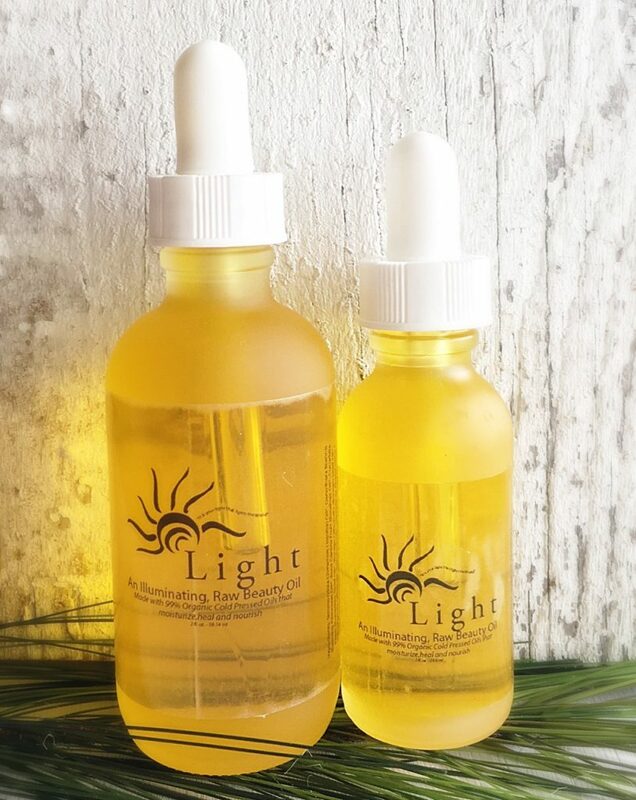 They craft all their products with pure and certified organic ingredients and they believe makeup should feed and nourish our skin and spirit and not harm our precious health. This very much aligns with my beliefs too, and even more so now. I have been using two websites (*read below for these) to research my makeup and sunscreen ingredients and boy oh boy! My garbage can became loaded with my “throw-aways” which have been documented as cancer-causing, hormonal disrupters and other important facts. I was putting poison on my skin and in my body. I needed to find something new and the hunt began. These products go on so easily and feel so clean, add a healthy natural glow and feel just “right”. I was told my complexion will look softer and radiate a warm glow. This is exactly what happened the first time I used the cream foundation, Glow blush and finishing powder. I used the Sugar Poppy lip gloss made with coconut oil and my lips not only felt smooth and moist but they looked just perfect! The shadows, which are offered in beautiful shades, felt so soft and I felt no slight burn that I have experienced with other brands. When I feel I look good, I feel a bit better about myself and exemplify that outward. It is nice to be a woman and have these options. The company’s owners are aware of our delicate balance and respect this fact with no cutting corners and this establishes the company and their products as very special indeed. We are located in eastern Washington State which is a small town outside of Spokane. I started the business by myself almost two years ago. It’s been a lot of work but I have loved every second as I am passionate about all it represents. My sister is Celiac,like me, and became my business partner on Jan 1st of 2016. She is the operational/financial role and I am more sales/marketing/vision. We make many of our products in-house, but soon the majority will be turned over to a small ethical manufacturer. We are currently working with a branding agency to really take this incredible business to the next level and we will then hone in on our messaging, branding etc. To date we are the first and only Certified Paleo Makeup line through the Paleo Foundation. I can’t wait Tina! 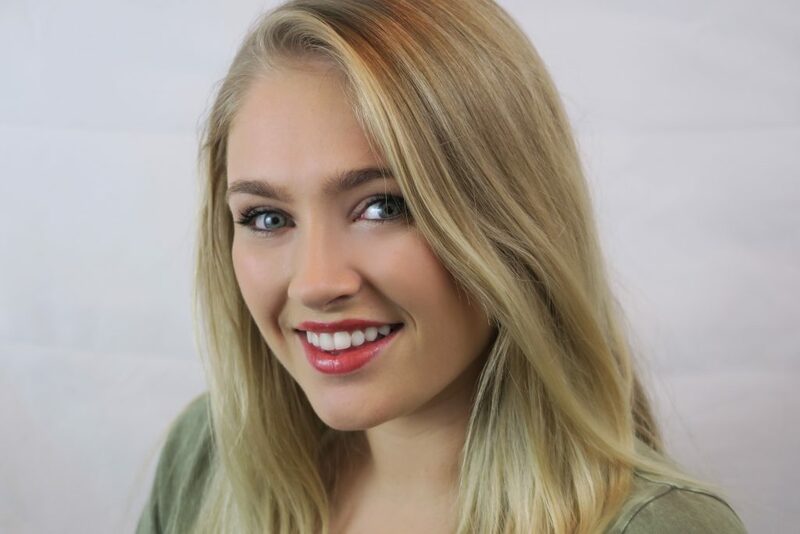 Lindsey is the founder and co-owner of Araza Natural Beauty with a bachelors in exercise science from Boise State University. She developed a deep love for helping people to live their best life through exercise, nutrition, mindset and now, good quality makeup and skincare. 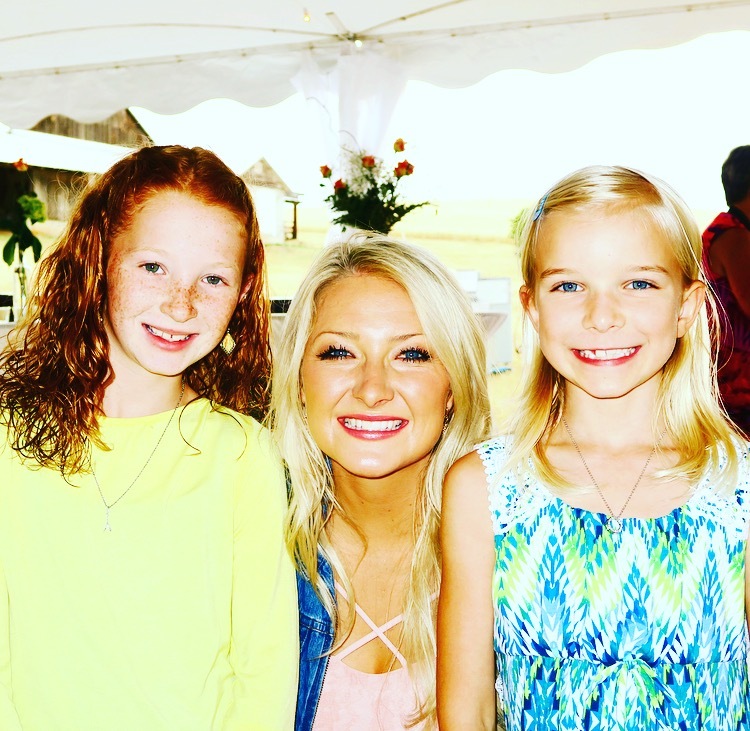 Lindsey started Araza because she had difficulties with auto-immune, Celiac Disease. She found much relief when she tarted following a Paleo lifestyle, shifting to eating whole, unprocessed foods, like healthy fats, organic plants, and quality sourced proteins that nourished and healed her body. She believes the products you put on your skin should follow the same philosophy. 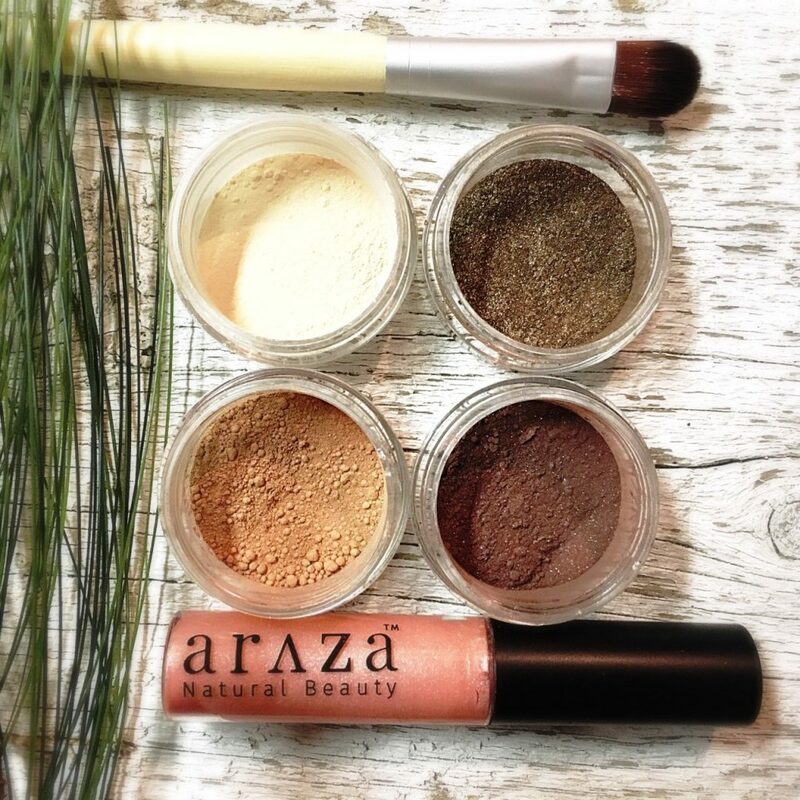 Araza Natural Beauty is the first Paleo Certified Makeup line. It is their mission to help women live their absolute best life through their products and sharing the Paleo lifestyle. Good luck to you both! And to all of you out there, these products are unique and worth your time looking into. They have done their homework and did it well. I encourage you to check into the Araza website. The customer service is wonderful. All questions are answered promptly, and all my products were sent rapidly and I must mention they look beautiful on my bath counter. This is another important factor to me. I am a woman after all and I just love pretty things! *Here are the two sites I use and use often! I am now a pro-detective. I have to thank my son’s girlfriend of 9 years, who is a very successful, talented and busy makeup artist for television and movies primarily in Los Angeles and often across the USA. She needs to use all sorts of makeup due to her job, even in prosthetics. Mara thank you for sharing these important sites with me! https://www.ewg.org/skindeep You can search for any makeup company, product, ingredient etc. and the site will pull up its rating and what hazardous chemicals might be in the products. It doesn’t list every single company but it has a great deal on it.